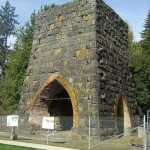 The furnace was built by the Oregon Iron Company and began operations on August 24, 1867. 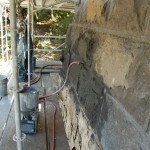 After it was abandoned in 1885, the furnace’s masonry stack was left to endure the elements without any protection. 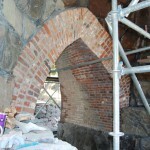 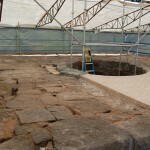 Although the exterior of the 44-foot tall furnace is in relatively good condition, the interior stonework was seriously deteriorated. 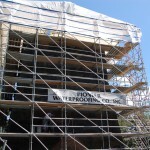 The work, done by Pioneer Waterproofing Company, consists of replacing the grout, repointing, as well as injection grouting with NHL mortars. 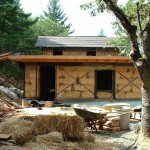 Today, the stone furnace is the only surviving iron furnace west of the Rocky Mountains. 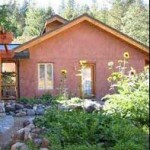 Village built exclusively with straw bales. 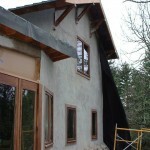 NHL applied on all walls as plaster or stucco. 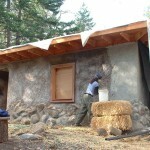 Three-coat NHL on earth plaster on strawbale. 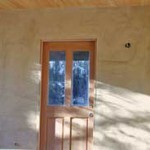 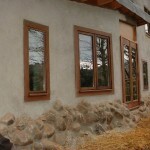 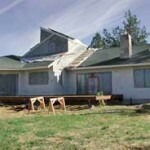 Three-coat lime plaster (NHL) on strawbale.